Deborah Kass employs the visual motifs of post-war painting to explore the intersection of politics, popular culture, art history, and personal identity. Interested in ideas of appropriation, gender issues, feminism, and humor, Kass works in a variety of media, including painting, prints, neon, sculpture, and installation. She is interested in challenging ideas of gender and the status quo as well as the art establishment and the role of feminism within it. Born in San Antonio, Kass received her BFA in Painting at Carnegie Mellon University, and studied at the Whitney Museum Independent Study Program and the Art Students League of New York. Her first major series, “Art History Paintings,” established her appropriation style. In these works, she combined Disney characters with images from famous artists (Picasso, Pollock, etc.) and other contemporary styles. 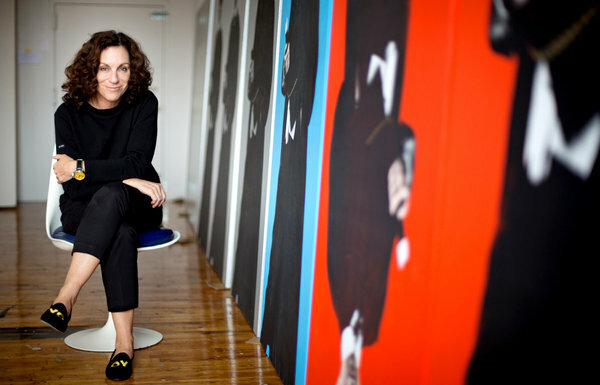 In the 1990s, she used Warhol’s signature style to render images of herself and women celebrities, including Barbara Streisand as Jackie Kennedy Onassis. “The Warhol Project” is her most well-known series, and she continues to re-visit his style.